Valle Colino dog refuge in Santa Cruz would like to notify all pet owners that there are numerous dog thefts being committed on a constant basis throughout the Canary Islands. All types of dogs are being targeted for theft, depending on the purpose of the animal sought by the criminals. They steal dogs of any breed, age or size to use as bait while training their fighting dogs. Above all they are stealing many pedigree dogs (regardless of age) to breed them and sell their puppies via the internet or through a newspaper. There have been instances where dogs have been stolen right out of their owner’s property. WHEN YOU TAKE YOUR DOG FOR A WALK IN THE PARK, OR ANY OPEN AREA KEEP THEM UNDER CONTROL. Once your pedigree dog has been ear-marked by the perpetrator, they may use any amount of diverse methods to steal the dog; taking advantage of an oblivious owner, especially looking for females in heat, or males that have not yet been castrated etc… Normally they will have a getaway vehicle waiting. NEVER LEAVE YOUR DOG ALONE IN A CAR, ESPECIALLY IF YOU ARE PARKED IN AN UNDERGROUND CAR PARK. NEVER LET YOUR DOG WALK HIMSELF. It is very common for owners to just let their dogs out to do their business unsupervised, but even though your dog may not stray very far from home you don’t expect anything untoward to happen, but one day your dog may not return home. It is better to spend five minutes walking your dog so that he can do his business under supervision rather than letting him go by himself and possibly never return. There is mafia all over the island, around every corner and in the most unexpected places. Please take this advice and help diminish the amount of dog thefts, and keep your pets safe and under control so they do not suffer the consequences. Puerto Santigo is normally a quiet place on a Sunday afternoon, but last Sunday was rather different when a gang of seven Romanians were arrested and were all lined up around the fisherlady roundabout. Rumors quickly flew round, drugs bust, bank robbery, but in fact it was a gang of pickpockets who were arrested. The culprits, all aged between 30 and 50 have been identified only by their initials, R.M., C.F.R., M.I., L.A., T.S and V.D and a woman, L.R. After the police had received several reports from the public about purse and wallet thefts, a surveillance operation in the area followed. The gang were soon located and were watched through binoculars. They arrived by hire car, met in a local cafe to select their targets. The victims were often tourists waiting at the bus stop by the sports centre in Los Gigantes. They would be distracted by one gang member with a map asking directions while another picked their pocket or handbag. A hire car would be parked nearby for a quick getaway. What this gang failed to realise is there is only one way out of Los Gigantes and the local police backed up by the Guardia Civil arrested them at a road block on the exit road. Many items were recovered despite attempts from the gang to throw them out of their car windows. The victims were then brought forward to help identify the gang. A number of airlines are now offering amazing discounts on flights – if you book early. In some cases residents are getting up to 70% discount and a flight to Spain can be picked up for around €40 each way. The airlines are offering these discounts to stimulate early bookings and if you book early there are some great deals up for grabs. It’s not just flights to the Spanish mainland which look attractive, a flight with Iberia from the Canaries to New York can be picked up at around €300 return. Spanair to Copenhagen from Gran Canaria is a bargain at around €140 return, and a flight from Tenerife to Stockholm around €170. Air Europa to Spain from €80 return, the price includes supplements, taxes and costs, Madrid to New York from €220, and to Havana from €280 return. After huge success in Europe, Disney’s most memorable princesses will be appearing together at the Santiago Martín Sports Centre in La Laguna, when an international troupe of figure skaters take on the fairytale characters to perform the Disney on Ice spectacular show “Princesses”. 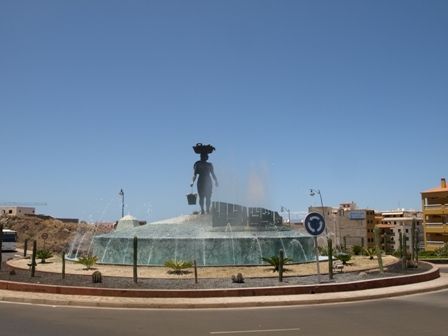 The show, sponsored by the Canary Island government and La Laguna city hall, takes place 17th – 21st April 2009. Cinderella, Jasmine, Ariel, Sleeping Beauty, Belle, Mulan and Snow White all make an appearance. 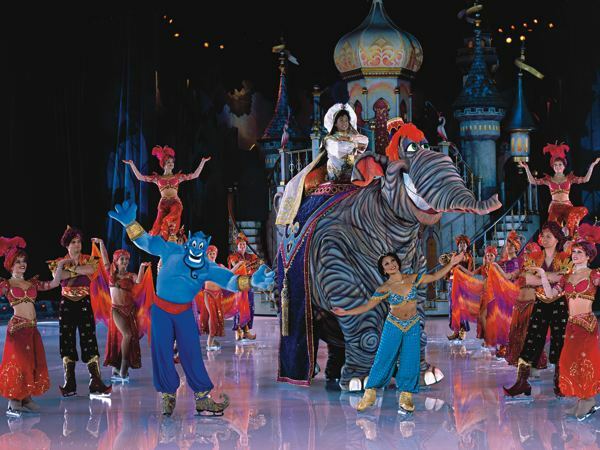 The ice spectacular is a journey around the world, with the ice being transformed into seven enchanted lands including a jeweled three-storey revolving castle, an undersea kingdom, a luxurious ballroom and an Arabian palace, far-off lands and magical kingdoms. Of course with every princess there has to be a prince (or a good guy at least!) Co-stars include Aladdin and the Genie, the Beast, Sebastian, the Seven Dwarfs and, of course, Prince Charming. 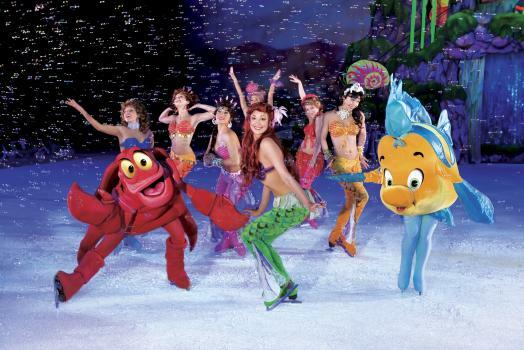 More than 60 Disney characters will be brought to life throughout the production – which promises lavish costumes, stunning scenery and spectacular skating. An international troupe of award-winning figure skaters will be performing the unique formations. The skaters will be adding samba flair with Latin numbers, daring pair performances and the elegant ice dancers will be bringing an element of romance to the show. Friday 17th April at 18,00h. Tickets are now on sale in El Corte Inglés and www.elcorteingles.es prices start from €18 depending on seat placement. 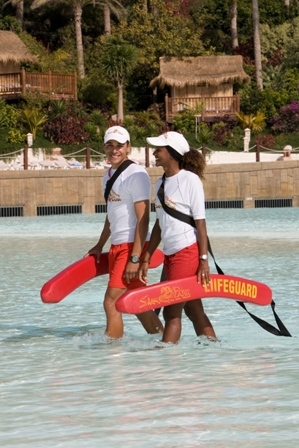 As a result of the huge demands from hotels requiring life guards an official life guard school has been opened at Siam Park. For further information and interviews contact the press department, contact details below. The Municipal office of consumer information in Playa Arena have been overwhelmed by the number of complaints and queries from people confused in the changeover of their electricity bills from bimonthly to monthly, many people complain they have been overcharged. 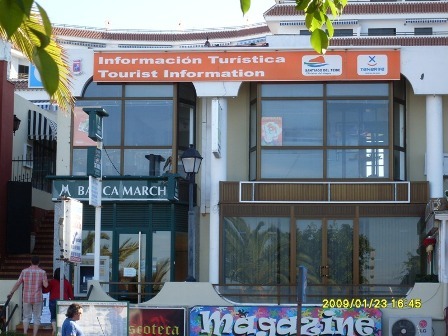 Claim forms are available from the OMIC office in Playa Arena. Photocopies of your bills will be asked for. 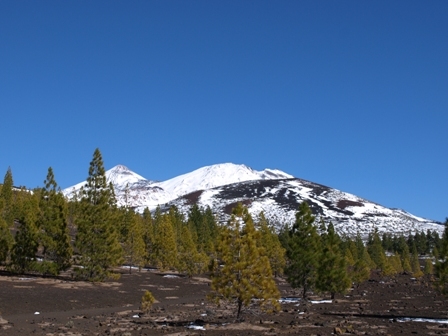 Last weekend brought much delight to thousands of Canarians when Teide was covered with a beautiful blanket of snow. Families in their thousands packed their enormous picnic hampers, loaded up body boards, inflatable beds, black plastic bags…anything in fact that could be turned into a makeshift sled. Sledging down a mountain probably isn’t an activity most people would associate with Tenerife, and tourists here didn’t understand what all the fuss was about, they had come to Tenerife to escape such conditions! It was party time in the Teide National Park. Wherever there was a hint of a space locals were parking, building snowmen, sledging down the slopes, having family snowball fights, great fun was had by all, but their badly parked cars partly block the road turning the crater road into single lane in many places, causing long queues of traffic. Should there be an accident, a child breaking a leg while sledging, how would the emergency vehicles get through? This problem is causing President of the Cabildo, Ricardo Melchior, great concern and there is also the worry of sightseeing tourists being stranded in a sudden snowstorm without sufficient warm clothing. The Cabildo are planning to survey the situation and it has been suggested that the park is limit to a maximum of 3000 vehicles in the area to allow the authorities more control in a snowfall. Kiss Flights has announced that it will begin a once weekly summer service between Bristol Airport and the Tenerife. The route will operate from July 3rd to October 30th 2009 aboard a Viking Airlines Boeing 737. 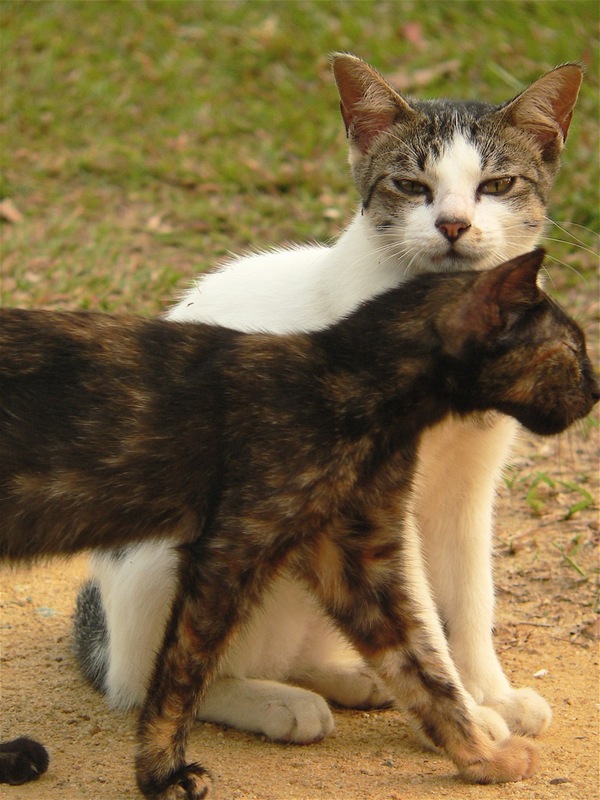 The Canary Island Federation of Animal and Plant Protection Associations is about to start a sterilization program for abandoned cats and dogs which will improve their health, reduce the risk of disease transmission and control their breeding, especially cats. 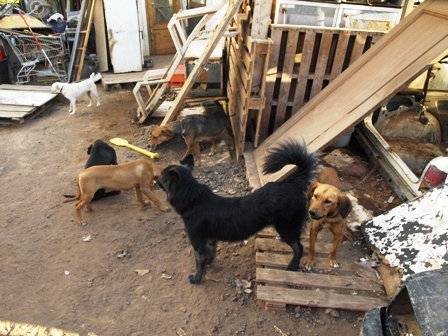 The Federation is responsible for carrying out the sterilization of abandoned cats and dogs housed at animal protection centres. Veterinarians from the Professional Association of Veterinarian Surgeons of Santa Cruz will be contracted to carry out the sterilizations. Pets are not eligible in this program that will be running over a six-month period. According to the Professional Association of Veterinarian Surgeons, Tenerife is home to 142,000 dogs and 4,000 cats. This calculation is based on animals taken by their owners to veterinary clinics, which is the closest to an official animal census they can get. However, a large number of animals are not reflected in this census, such as hunting dogs. Current identification systems such as the use of microchips and readable tattoos, as required by the Spanish Animal Protection Act, have proved ineffective as many pet owners do not mark their pets with these identification systems, and can therefore not be located. Abandoned dogs pose serious problems to society, since they can cause car accidents and transmit diseases. Dogs that have turned wild after having been abandoned in forests or recreational areas frequently cause damage to farms by attacking live stock. The situation is even worse with cats, as they are naturally good hunters they adapt easily to living on their own, and their reproduction capabilities are phenomenal. An exhibition of paintings by artist Heide Marie Fahl “Rumors of Color” will be on display in the Fisherman’s museum in Puerto Santiago from 6th to 28th of February. The exhibition will be open Monday to Saturday 10:00 to 13:00 hours and from 16:00 to 19:00 hours.